There were 261 press releases posted in the last 24 hours and 153,574 in the last 365 days. 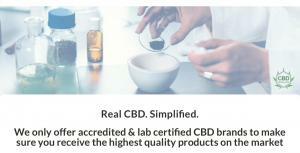 Our mission at CBDResellers.com is simple - to provide our customers with the best quality, highest purity and top potency CBD Products On the Market. BREWSTER, NY, US, April 12, 2019 /EINPresswire.com/ -- While CBD products are rising in popularity every day for a wide range of different reasons, the problem is quickly rising in quality concerns of the products available. The good news is there are exceptions to this rule. The one that shines the brightest is likely the ELU Group, who has devoted over five years to manufacturing and distributing only accredited, premium-quality, lab-certified CBD products. In exciting news, ELU recently launched the web platform CBDResellers.com which provides their strictly highest quality CBD products to both retail customers and to businesses focused on reselling them. The enthusiasm surrounding the new platform is high.